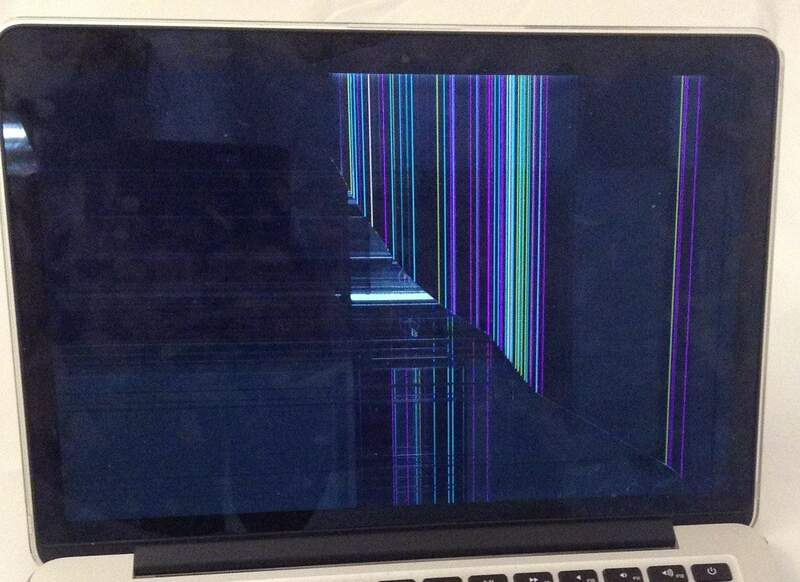 Here’s a great example of a cracked LCD on a MacBook Pro with Retina Display. This model A1502 was bumped during travel while it was inside a laptop bag, causing a diagonal fracture across the LCD and green, purple, and blue multicolored vertical lines to appear on the screen. The screen is also very dark. The glass panel over the LCD wasn’t hit hard enough to break, but on this model, we replace the entire display with a brand new 13 inch display assembly anyway. We were able to get this repair done in under 24 hours, plenty of time for the owner to have it back up and running before his flight back home.